Tanya Plibersek, deputy leader of the Australian Labor Party, tweeted a clip of herself discussing early childhood educators and the important role they have on child development (though she doesn’t mention parents’ roles). It’s true that science has found the early months and years of a child’s life are critically important for their development, but that doesn’t necessarily mean that the people involved in their lives at that time need difficult or expensive education and training. Parents tend to take on that role and we haven’t gotten so Orwellian as to require parenting classes. But where Plibersek really loses the argument is when she claims early childhood educators are “undervalued” because they are almost exclusively women. 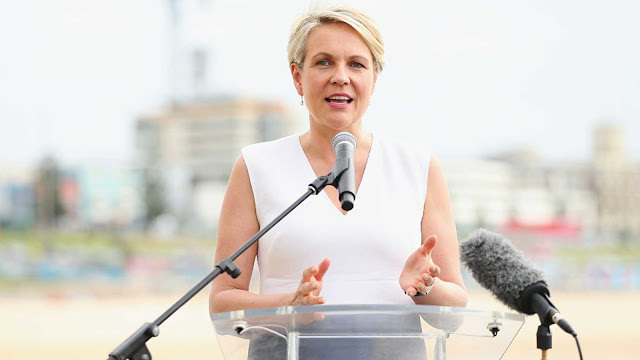 “There is no way anyone can tell me, Mr. Deputy Speaker, that it’s a coincidence that in an industry where 98% of the employees are women, that you see this sort of undervaluation of the employees in this work,” Plibersek said. What’s her evidence that this is due to gender? First, a Certificate III is a level of education and qualification in Australia, like an apprenticeship certificate. It’s basically a non-college degree. Level 7 is what they call a Bachelor Degree and Level 10 is what they call a Doctoral Degree, so a Certificate III requires much less training and education. But Plibersek is comparing the same level for different jobs. Early childhood education — to have that as a job — does require knowledge, but it is far different work (obviously) than metal fabrication, which requires technical skills, sometimes artistry, and often risk of physical harm. Early childhood education does not. That is why the pay is so different. As to her claim that the gender of the workers is what really matters, she should find out if the 2% of early childhood educators who are not women are also being paid “20-something-bucks an hour.” If they aren’t, and it’s not because those men are working with young special needs kids or working more hours or at more prestigious schools, then maybe Plibersek would have a case that at least within the early childhood education industry, there is discrimination. Neither of the two professions she describes are gender-exclusive. Women can be metal workers – they choose not to. Men can work in early childhood education — most choose not to. Plibersek does women a disservice when she paints them as victims when they are not, and she fails her own discrimination standard when she suggests metal workers should not be valued so much.